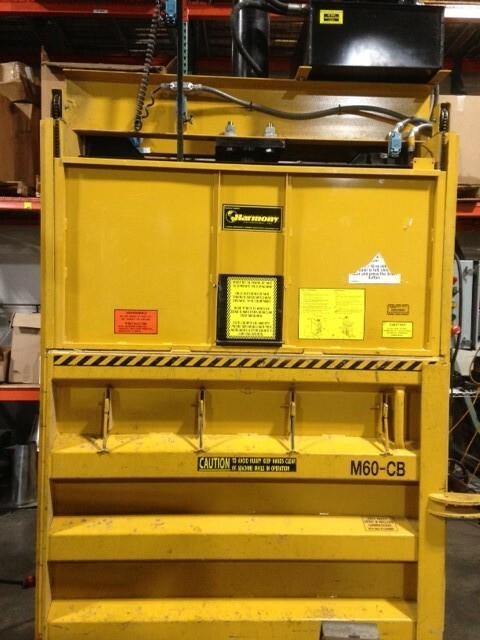 Vertical 60" baler makes a 60" x 30" x 48" bales of cardboard, weighing 1000 lbs. Other materials may be baled as well including: textiles, plastic shrink, stretch film, aluminum, etc. Excellent condition with 90 day parts/labor warranty.